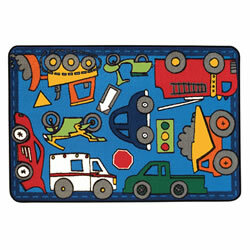 These simple, colorful rugs are great for classroom organization. Each colored space makes a perfect place for children to sit and have plenty of wiggle room; all while being surrounded by a literacy border. 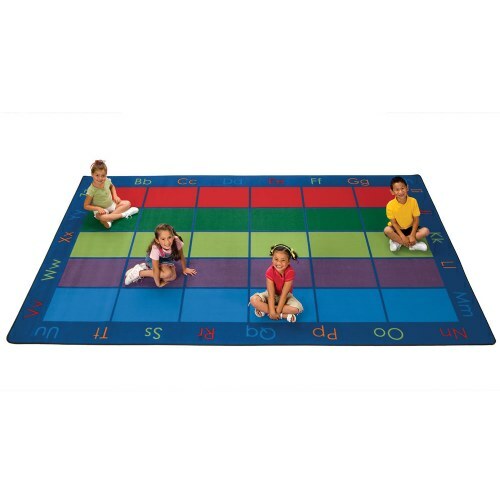 Proudly made in the U.S.A., these rugs is durably designed to provide years of classroom use and are available in oval or rectangular. I teach pre-k. Twice a week I'm greated at the door by 21 four year olds. They're crazy days but I love what I do! 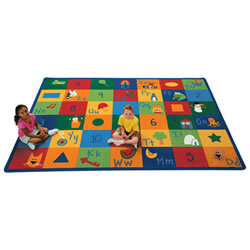 I ordered this rug because when we sit for calendar time or story time I noticed that it was really hard for my students to sit and keep their hands to themselves. This rug has made it so my students each have their own space. It's been amazing for teaching personal space! 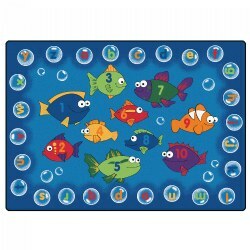 I also love that I can use it to teach counting, colors, and the alphabet. It has so many different uses. Just having the rug in our room brightens up the space. We love to stand on letters and sing songs! 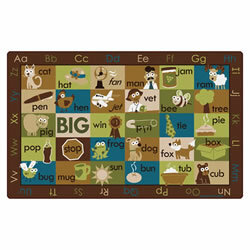 Great rug for row seating and circle time! I like that there are different color rows for the students to sit on and that there are letters around the perimeter for "circle" time"!